We also run the younger onset dementia Living with Dementia Program, providing information and support for people living with early stage dementia and their family and friends. Click to download the Living with Dementia Program brochure. The Younger onset dementia section provides more information about understanding and managing younger onset dementia. 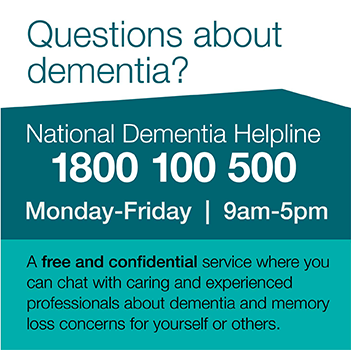 For more information contact us or call the National Dementia Helpline 1800 100 500.